There’s something in the water in Seattle, Washington! Make the most of your trip and Go. Get. Rewarded. while you’re in the Pacific Northwest. You can’t visit Seattle without stopping by the Space Needle. This iconic landmark was built in Seattle City Center for the 1962 World’s Fair, and in August of 2018, unveiled the world’s first revolving glass floor, known as “The Loupe,” 50 stories above street level. The Space Needle isn’t the only icon in Seattle City Center. The plaza is also home to the Museum of Pop Culture, where you can check out exhibits about Nirvana and Jimmy Hendrix, and the world-famous Chihuly Garden and Glass. See fish fly at Pike Place Market! With farm-fresh produce, freshly baked bread and that famous Seattle clam chowder, you won’t leave hungry. Need more food for thought? Just beneath the market lies the iconic Seattle gum wall – a sight you really can’t miss! Walk along Seattle’s nine-acre Olympic Sculpture Park to take in expansive views of the coastline while enjoying unforgettable sculptures and even its very own beach. A great experience is nothing without the memory of it! Go GET a piece of Puget Sounds’ cloudy city to take home to remember your trip. The Emerald City wouldn’t be the same without the green mermaid that stands above each Starbucks location. Visit the first Starbucks location on 1st and Pike to learn the rich history of the coffee chain’s relationship between it and the city. The best part? Exchange your Best Western Rewards points to get a Starbucks gift card to use during your visit. Get a glimpse of history! Discover the ruins of early Seattle in Bill Speidel’s Underground Tour where you will walk down hidden alleyways, through secret passages and even beneath the streets of downtown Seattle. See the dazzling city skyline, the San Juan Islands and – if you’re lucky – a pod of orca whales when you take a ride on Seattle’s Harbor Cruise. 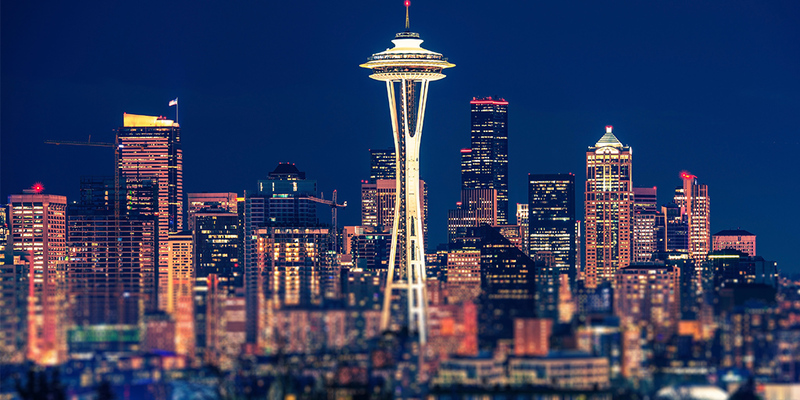 Get the most out of your trip to Seattle with Best Western Rewards. Points never expire and can be redeemed worldwide for free nights, flight miles and more. Sign up for free at bestwesternrewards.com and Go. Get. Rewarded.